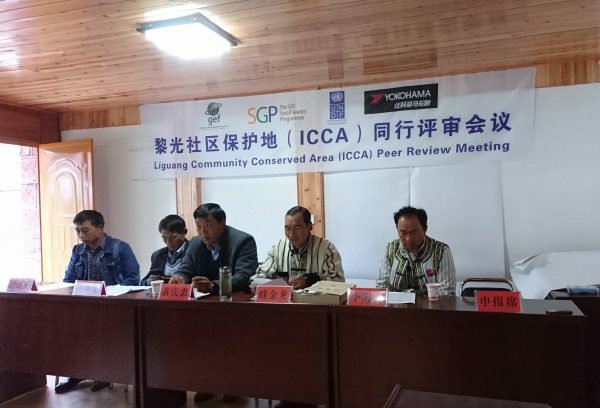 At their annual assembly in July 2017, at Chengdu, Sichuan, the China ICCA Working Group developed a “Community Conserved Areas Peer Review Criteria” as a reference point as it works to identify authentic communities in the region. This is a crucial step toward the inclusion of any ICCA in the ICCA Registry of the UNDP-WCMC. In December of the same year, community representatives from the Guangxi CCA Consortium discussed the Criteria item by item, using their own experiences as a reference. Soon afterward, on March 28th and 29th, 2018, the first peer-to-peer validation procedure meeting for ICCA Registry in China was held, and the Liguang (Nuomadi in Lisu language) village of the Lisu minority people, Yunnan, was accepted as a member of the Registry. Liguang (Nuomadi) CCA is a natural village of Lisu minority people, comprising twelve traditional community-habitats. Its territory covers a total area of 7715.8 hectares. The village decided by consensus to conserve the holistic living environment, rather than any specific rare species. Most admirably, the community decided to pool the forest areas that had previously been assigned to each household in the last “tenure reform” done by the Forestry Bureau. Under the new conservation protocol, these areas will once again be “community commons”. The community residents fully discussed the definition of ICCA and gave it their own interpretation as well as ideas for implementation. They used a community- consensus model for resolution through the FPIC process. They developed a self-assessment/self-evaluation plan that would serve as a long-term self-strengthening program. They carried out the witness and confirmation processes for authenticating an ICCA in good standing. 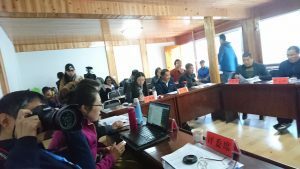 In a peer-to-peer validation meeting, the Liguang hosts presented their experiences and achievements in operating a community bank, as well as an ecological agriculture cooperative. Representatives of ten CCAs from Yunnan, Guizhou, Tibetan areas, and Inner Mongolia, led ICCA exchanges and learning network activities.. Finally, the participants shared best practices and updates on the current status of each CCA, and discussed the similarities and challenges of different governance models, economic practices, social organization, and cultural matrices of the different community- conserved areas in the region. We now have the tools needed for creating audio/video documentation of the rich bio-cultural diversity of the indigenous languages that are part of the heritage of this region of China. However, going forward, the development of writing systems for these minority peoples will be crucial, in order to record traditional knowledge and belief systems, and to preserve them for the future generations that will adapt and learn from them in years to come.